Concern and debate over the role of religion in the make up of the United Kingdom is a contemporaneously relevant as it was in the nineteenth century. 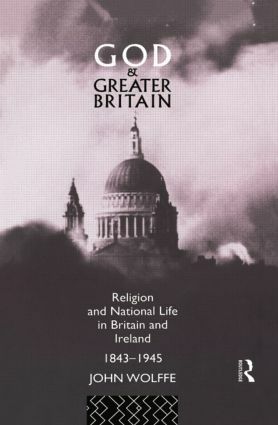 God and Greater Britain is a survey of the contribution of religion to society, politics, culture and national self-understanding in Britain and Ireland at a pivotal period in their historical development. It derives from primary research as well as from an extensive synthesis of the secondary literature. John Wolffe's timely and stimulating appraisal of the centrality of religion is well illustrated with specific episodes and uniquely places religion in a firm historical perspective.